Every year around Earth Day, I start looking for natural or organic options to green my beauty routine. I have discovered so many cool ways to make your own beauty products this way and can spend hours cruising the net. I use the orange juice and baking soda mask regularly. This time I discovered a couple of new kitchen products that can be used for beauty applications as well. A lot of DIY beauty recipes call for olive oil, but I can not stand the smell. 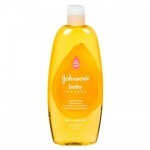 I use it on my kids cradle cap occasionally and I hate the way they stink afterwards. 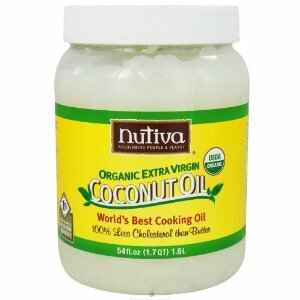 Coconut oil has a tropical smell and has the same moisturizing benefits of olive oil. It can be used as eye makeup remover, cuticle oil or a body oil applied right after your shower when your still wet (the moisture helps it spread). 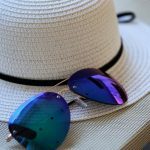 As far as putting it on your face, it can help with dry skin and flakiness, prevent wrinkles and even protect against sun exposure. Some people notice an increase in white head pimples, but that is a result in the toxins being drawn out of your pores and should clear up in a few days. In other words, don’t try coconut oil the first time right before a big event. Honestly, the more I read about it, the more I want to go get some coconut oil right now! One thing to note, coconut oil is in solid form until it reaches about 74°, so don’t discard a bottle because you think it’s solidified. Now I had planned on talking about Apple Cider Vinegar as an acne treatment but I found lots of contradicting advice. A lot of people claim that ACV was the miracle cure for their skin problems, but there are some surprising risks. If you take the recommended 2 tbsp a day you must dilute it, or if you opt for a supplement, make sure you drink it with a full glass of water so the pill gets washed all the way down (the acidic nature of ACV can cause damage to your esophagus). It can also help or cause more problems with diabetes and blood pressure. Always consult your physician before trying home remedies, especially if you are on other meds or have other health problems. I mostly am bringing it up because when I first read about it, I jumped right on the ACV bandwagon and I’m so glad I checked it out first. 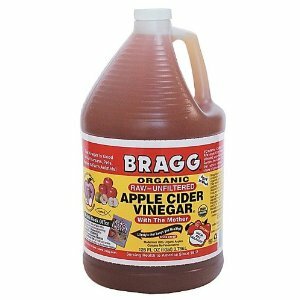 According to WebMD, the research on ACV is very interesting and promising, but simply not done yet. Mix well and apply to your hair, root to tip. Wait thirty minutes then wash and condition as usual. 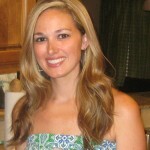 Have a question for Andi, beauty blogger and fellow mama of three? 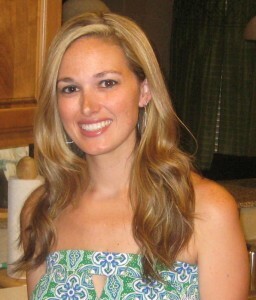 Andi welcomes your questions and feedback to Beauty Buzz. E-mail her at mamas@nwaMotherlode.com. Click here to read more about Andi. Come meet Cat in the Hat! I love using Coconut oil for sunscreen, it smells sooo much better than the chemical stuff and works pretty well. I tried using it for moisturizer for a while but it just didn’t seem to absorb into my skin and ultimately my skin was more dry after using it for a few weeks. I’m guessing that using it occasionally would have a good effect, though. Also, I use diluted ACV as a toner. Usually I just wash my face with Olive Oil soap, then use all natural lotion, but sometimes I wash, scrub with baking soda, use ACV as a toner, then moisturize. I’ve had great results with that! Thanks for the info, songbird! My allergist thinks I might be allergic to sunscreen so I am excited to find an alternative. Let me know if you ever find something natural that works for moisturizing. I’ve never liked mine much.